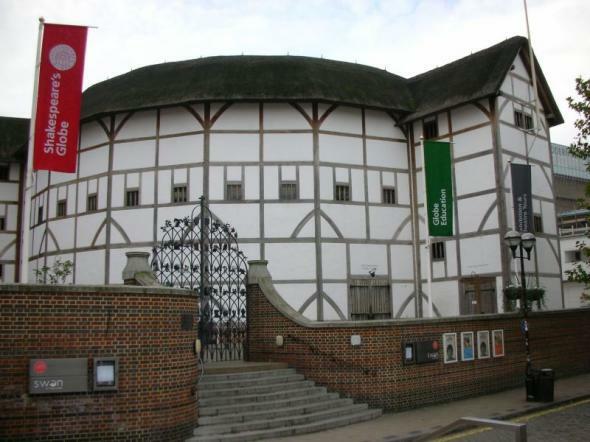 Last night I went up to the Globe Theatre in London to see 'Dr Faustus,' as it is a play I will be studying in English next year. 'Dr Faustus,' written by Christopher Marlowe written in 1604, follows Dr Faustus as he loses sight of God and turns to dark magic. After summoning a devil named Mephistophilis, Faustus tries to bind the devil to him as a servant but is stopped by the fact Mephistophilis already has a master, the devil. Faustus strikes a deal with the devil and he is allowed 24 years on earth as a powerful magician with Mephistophilis as his loyal servant. After 24 years Faustus must give his soul to the devil and spend the rest of his life damned in hell (cheerful, I know). Throughout his life Faustus ignores all divine interventions by Angels and continues to live a sinful, wicked life. The play ends as Faustus is taken into hell wishing he had only repented earlier. I found the play absolutely amazing, the acting was incredible and so where the costumes. 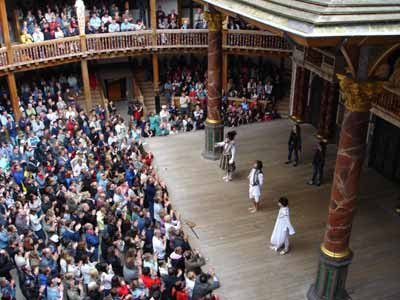 It was such a good experience to watch an Eliazbethan play in an open air, Elizabethan theatre. I thought I may found the old English hard to follow but the actors are so good it is actually quite easy to follow the story. 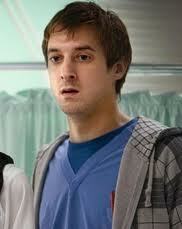 For any Doctor Who fans: the play starred Arthur Darvill who was Rory in the recent series of DW! He played Mephistophilis and was very evil and convincing, he is definitely a very versatile actor. Over all I throughly recommend this play to anyone who loves literature, drama or Arthur Darvill!